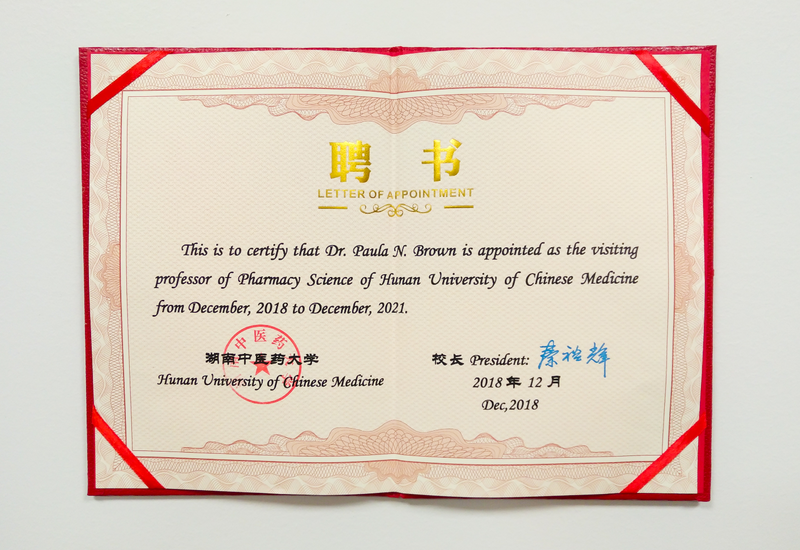 On December 13th, 2018 Dr. Paula Brown received a letter of appointment as a visiting Professor of Pharmacy Science of Hunan University of Chinese Medicine from University President Mr. Yuhui Qin. 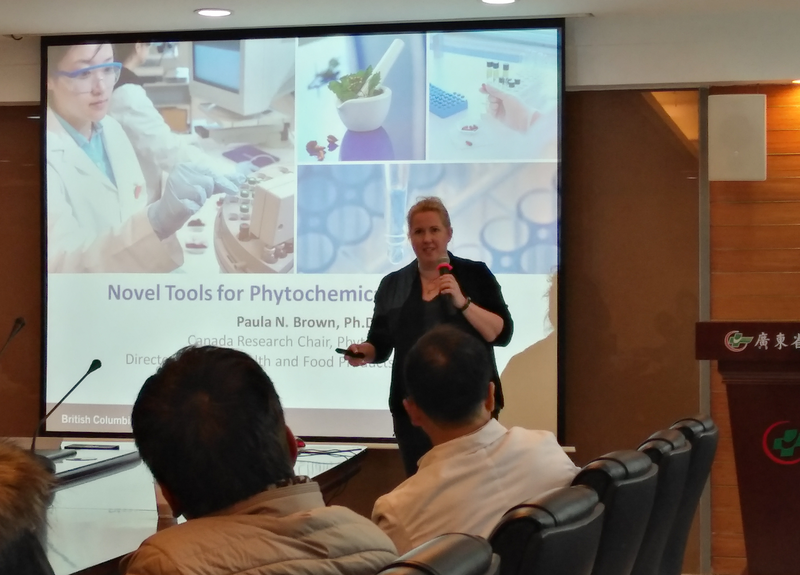 Dr. Paula Brown, Director of Natural Health and Food Products Research Group (NRG) and CRC Chair in Phytoanalytics focuses on the basic and applied science underlying botanical-based traditional medicine quality and safety and the roles that these products can play in human health and well-being. Traditional Chinese Medicine (TCM) has evolved for other 5000 years and makes use of herbal medicine, acupuncture and massage to treat patients. TCM products are regulated under the Natural Health Products Regulations with more than 3000 TCM products currently authorized for sale. Hunan University of Chinese Medicine is a public university located in the city of Changsha, that traces its history from Hunan Chinese Medicine Specialty School established in 1934 and Hunan TCM Vocational School established in 1953. The University has an extensive TCM Research Program and is a teaching-oriented medical school, providing health-care services to the province. “It is our hope that Dr. Brown will bring her expertise in medicinal plant characterization and product quality to our collaborative research projects and to help modernize the quality standard employed by Chinese TCM businesses.” said Dr. Wei Wang, Vice Dean of Pharmacy Science.